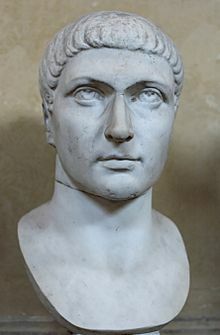 On March 7, 321, Roman Emperor Constantine I decreed that dies Solis Invicti (‘sun-day,’ or Day of Sol Invictus, Roman God of the Sun) would be the Roman day of rest throughout the Roman Empire. Bust of Emperor Constantine I, Roman, 4th century. Though Sol Invictus (meaning ‘The unconquered Sun’) was indeed a pagan Roman God, and had been featured on Roman coins, Constantine coopted this pagan heritage along with the Judeo-Christian following of the 10 Commandments by granting a day to honor God and rest for man. As the Roman Empire gradually converted to Christianity, Sunday became the natural day for the Sabbath and rest since Romans were already accustomed to Sunday as their day off. Constantine ordered the building of the Church of the Holy Sepulchre be built on the site of a previous (2nd Century AD) Roman temple to Aphrodite/Venus, a temple allegedly built over the tomb/crypt of Jesus. Constantine’s mother traveled to the Holy Land and “discovered” the tomb of Christ, and thus the Church of the Holy Sepulchre was built. 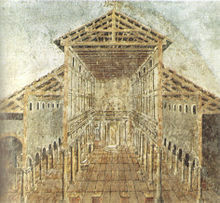 Constantine also had the Old Basilica of St. Peter built in Rome, which stood from the 4th to the 16th Century. Little did Constantine know Sunday would come to mean football and all sorts of recreation, or that for many people, even Christians, it is just another day of work. What activities do you prefer to do on Sunday? Barnes, Timothy D. Constantine: Dynasty, Religion and Power in the Later Roman Empire. Wiley-Blackwell, 2013. Next Article March 7, 2017: Kong: Skull Island, Monster of a Movie!